I hope you are all doing phenomenally well. I know that these last few weeks have felt like months for some of you, with everything that is happening in our world at the moment, with all the chaos and uprising of various energies. I understand how chaotic and at times burdensome it has felt for many of you to deal with all of these negative emotions, vibrations and energies. For those of us working on clearing negative energies from the planet this has been a busy few weeks having to deal with our own emotions and emotions of those around us. However, many of you are beginning to report that you are finally understanding the happenings of these amazing times, and the reason behind all of the rapid changes that are happening in our world. Changes that at a first glance seem as if we as a collective are taking a giant step back in our ascension process, where in actuality all that we are doing is “squatting” before jumping up high. I have posed the question of “what is happening?” to our benevolent galactic counterparts who have reassured me time and time again that we are moving in the RIGHT direction as a collective, even if it seems like anything but. What they have explained, is that we are shedding the last bits of debris, releasing all the negative emotions that we were running away from, or hiding behind happy facades. We are finally being brought in front of the “mirror” so to speak and shown what is really going on deep within. The times that we have entered are the times of “stripping naked” if you will. Times where there is no longer anywhere to run or hide. The time has come to face our own selves, and go through a collective “dark nights” of the soul so to speak, on a much larger collective scale. That is what is happening right now. We are being triggered to release that which is hindering our progress. We are being tested and thrown into various circumstances both on an individual level as well as collective to truly test our love for one another. To truly allow us to be honest with how we feel about this or that situation or issue. To utilize the power of unconditional love and understanding for ALL. And to see if we can truly love someone whom we totally and completely disagree with. Our truth is being tested, or rather brought up for us to deal with. To see how will we do as a collective. Will we finally be able to find middle ground and move through the very chaotic times with deep love, appreciation and understanding for all that is, or will we succumb to these energies and move into the same old cycle that humanity has been stuck in for eons? The answers that I am receiving over and over again is that we WILL be able to guide humanity to look within and face the truth of who they are, and whilst guiding others, we will also be guiding our own selves, learning from those around us whilst teaching. It shall be quite a fascinating time, where all that we have learn thus far shall be utilized and realized. Just as in the previous channeling that I have shared with all of you, our benevolent counterparts are reiterating that all that we are going through right now is simply a falling away of illusion, so that we can finally find our strength and our own voices, see the truth and follow our inner knowing, inner guidance and take matters into our own hands. To work on our own selves, balance our own selves out, first and foremost. We are being guided to learn from those around us, and to let go of the fear that is holding so many of us back from Being that which we are, and from following our heart’s calling, from doing what we have come here to do. We are going through very chaotic times, however chaos does not need to viewed in a negative way,it all depends on how we decide to see that which is occurring before us, and on how we allow it to influence us and which emotions we allow to guide us in our everyday reality.We are being supported by so many different beings however the final word, decision and action is ours to make. Speaking of support, to help us shed the last bits of debris, and push us onto the RIGHT PATH for our life’s journeys ahead we are about to experience quite a fascinating celestial event of this February’s Lunar Eclipse, where the moon is going to align itself with other celestial bodies to form a pentagram. According to Tanaaz from foreverconcsious.com, this full moon “is going to ensure that our lives are put into perfect balance and symmetry. It is also going to ensure that we have the tools we need to move forward into 2017 with confidence and a fresh perspective.The February 10-11th Lunar (Full Moon) Eclipse in Leo represents the opening of a new gateway and a starting point into the energies of 2017. Eclipses act like doorways into different energy paths, and are powerful enough to transform, shift and change the direction and flow of your life.Eclipses are like the cosmic helping hand of the Universe. Imagine the energy of an Eclipse like a Universal hand that reaches down from the heavens and puts you where you need to be.This place may not be where you want to be, or may not be where you thought you would end up, but it is definitely where you need to be. So as you can see we are moving into different times where that which has been unaminfest begins to manifest at rapid speed, pushing us to LET GO and ALLOW the new perspectives and experiences into our lives. 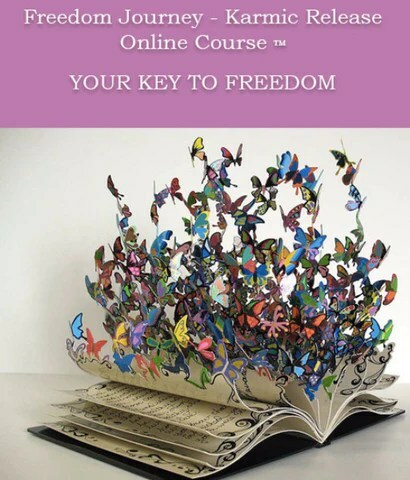 Speaking of which, if you are still having issues letting go, I invite you take a look at the online self study e-course that I have put together for this specific purpose to help you LET GO of the KARMA that you have created for yourself, find your INNER VOICE and COURAGE to step into your power. I talk a lot about various ways in which you can master yourself in the Freedom Journey Karmic Release Course, as well as share important insights into various healing modalities that exist to help you on your ascension journey. This is a life changing course, but don’t take my word for it, look online for reviews and you’ll see for yourself how this course is changing the lives of so many. You can learn more about The Freedom Journey – Karmic Release Course here. One last note before I share the channeling with you, I was working on putting together a report for a phenomenal soul who has come to me for a healing session and her guides recommended a truly intriguing flower essence. In light of everything that is happening in our collective consciousness I feel that this essence might be helpful for some. 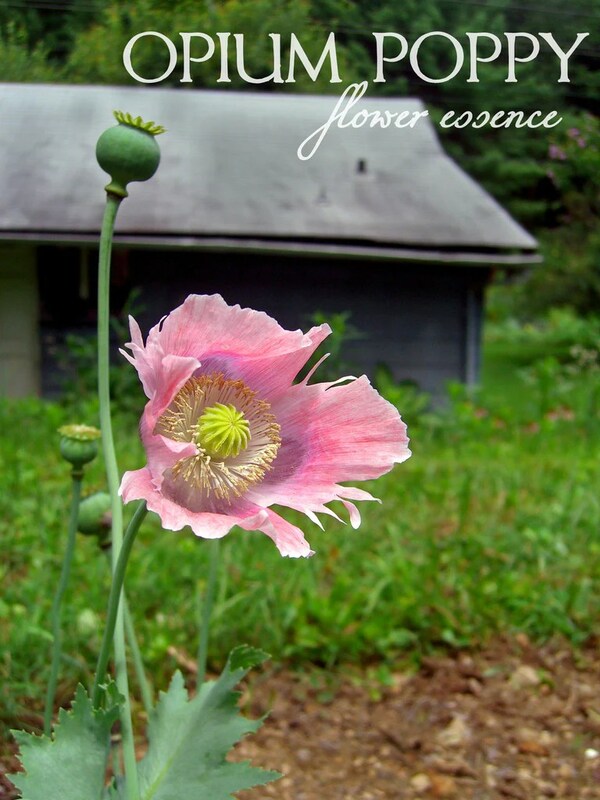 The name of this flower essence is Opium Poppy, and this is the first that I’m hearing of such an essence. And finally I would like to draw your attention to a new and very exciting tool by Natalya Ankh called “The Abundance Disc” The name speaks for itself. It is about helping you to draw in abundance energies into your life so that you can use them to create what you wish. Filled with the loving energies of various celestial deities, this powerful tool should assist you in attracting the type of change that you wish into your life. This is a gorgeous disc and is something that you would showcase for all to see. It should be placed in a prominent location either in your home or office. To learn more about the Abundance amplifier disc please click here. The continuous unravelling of the true nature of the beholders and of the self is swiftly sweeping your planet. 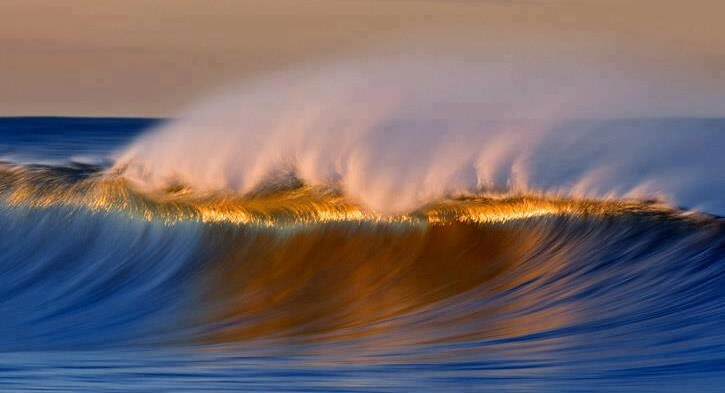 The continuous unfoldment of your true essence of BEing is being brought onto the surface for all to see. The time has come to fully acknowledge that which is within, and face the truth of that which indeed you are, of that which indeed you have brought with you onto this plane of existence. The truth of that which one is, is being pushed into the open for one to fully acknowledge and comprehend and coordinate with the within and without, with the internal and external forces. What we are trying to say to you dearly beloved masters of the universe, is that all that is unfolding before you in your present reality structure of being, is exactly that which we have advised you was to come to your shores in our previous messages to you. All the seeming chaos that is surrounding your day to day activities, all the seeming chaos of your world, is nothing more than the proliferation of energies which have arrived on your planet in order to purify, cleanse and release, the old paradigms of thinking. For changes that you are experiences on your shores, have deliberately been set into motion and the ones that you believe to be of lower frequencies indeed have been placed into such positions in order to trigger said responses, and continue to bring up and bring forth all that has been hidden within onto the surface. The time has come for each one of you to examine that which has been neatly tucked away deep within into your ”safety boxes” so to speak and to finally step out of your cocoons which you have weaved for yourselves in order to “fit in”. The time has come to stop and to diligently adhere to the Galactic Principles of BEing, or in your understanding of time and space, to look within, look at all the emotions coming up for you right now, all the emotions that have been brought onto the surface. Understand the emotions that are you experiencing, understand the deep seated fears and release them once and for all. The time for tremendous change has approached your shores, and in the days to come you shall be granted another opportunity to say goodbye to that which no longer belongs on your shores. No longer belongs in your lives and in your psyche. For the celestial events which are to unfold in your skies shall bring through the energies which shall push each of you onto the RIGHT timeline of your chosen momentum, onto the RIGHT life path if you will, that you have chosen to explore, experience and BE in, for the remainder of your earth year ahead. For the time of tremendous opportunities both within and without has arrived, allowing you to propel yourselves along the chosen trajectory for your souls’ growth and expansion of BEing,. What we are trying to say to you dearly beloveds, is that the time for expansion of consciousness, not only in your immediate environment but in the environment of your entire planet has arrived, and the time has come for you to step away from the illusionary world of your three dimensional selves and step fully into the multidimensionality of your Being. Yet again we remind you to dive deep within and retrieve the hidden potential that lays therein, sharing said potential and gifts with all whom your way shall come. Utilizing said gifts and taking full advantage of opportunities presenting themselves for you now. This entry was posted in Ascension, Multidimensional, Uncategorized and tagged Anna Merkaba, Divine Dissolution, Reintegration. Bookmark the permalink.